Part of the technology at Wazio Orthodontics is the new iTero scanner, which does away with having to take impressions of your teeth. This scanner allows us to create a computerized 3D image of your teeth so that we can plan your tooth movements throughout your entire treatment plan. The iTero scanner system digitally captures the contours of your teeth, providing an accurate digital orthodontic scan in just minutes. The digital impression procedure ensures a more comfortable experience for the patient and produces a more precise scan for Dr. Wazio. What’s more, the scanner uses visible light, so you won’t have any exposure to radiation during the procedure. 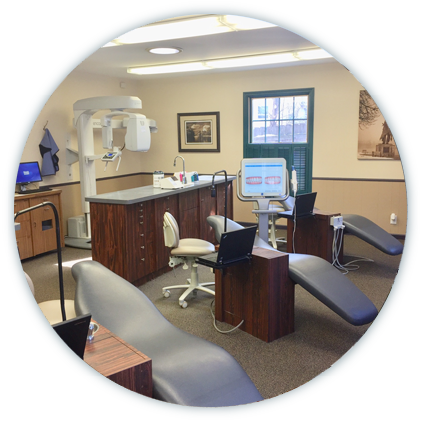 Patient comfort and confidence is vital in capturing optimal quality throughout an X-ray scan. Encompass achieves this through side entry access with face-to-face orientation, allowing our staff the ability to easily guide you throughout the positioning and capture process. Designed with patient care in mind, Encompass allows us to capture the exact image we need without extra radiation exposure to you. Staying in contact with our patients is important. Our office will remind you of your upcoming appointments through our automated Email and Text Message Reminder service. Our Automated reminders will ensure that you are informed and on-time so that we can better treat you.